A week ago I removed a list (something I very seldom do) which had caused quite a stir; it was a list of the most powerful families. This new list is designed to replace the original and to give a broader view of some of the most powerful historic families while not excluding royal houses (who dominate this list as one would expect). Let us hope this is received better than the original (which I should add, was not without its merits). The Rothschild family (often referred to simply as the Rothschilds), is an international banking and finance dynasty of German Jewish origin that established operations across Europe, and was ennobled by the Austrian and British governments. The family’s rise to international prominence began with Mayer Amschel Rothschild (1744–1812 – pictured above), whose strategy for future success was to keep control of their businesses in family hands, allowing them to maintain full discretion about the size of their wealth and their business achievements. Mayer Rothschild successfully kept the fortune in the family with carefully arranged marriages between closely related family members. Nathan Mayer Rothschild started his London business, N. M. Rothschild and Sons in 1811 at New Court in St Swithin’s Lane, City of London, where it still trades today. 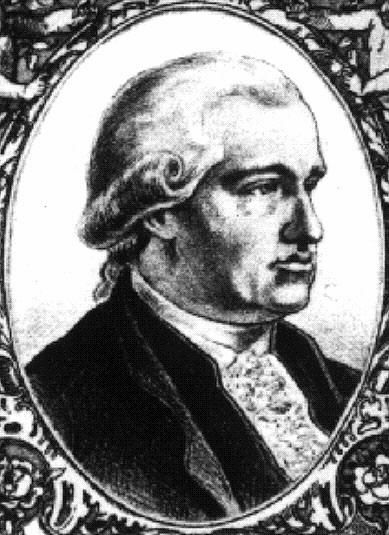 In 1818, he arranged a £5 million loan to the Prussian government, and the issuing of bonds for government loans formed a mainstay of his bank’s business. He gained a position of such power in the City of London that by 1825–6 he was able to supply enough coin to the Bank of England to enable it to avert a market liquidity crisis. In the toss-up between including the Plantagenets or the Tudors, the Plantagenet’s won because much of the development of the English culture and political system (which remains to this day) arose under their rule. Under the Tudors, the Church of England was formed and some say a golden age occurred, but the significance of the Plantagenet line is far greater (and furthermore, Henry VIII was descended matrilineally from the Plantagenet family anyway). The House of Plantagenet was a royal house founded by Henry II of England, son of Geoffrey V of Anjou. 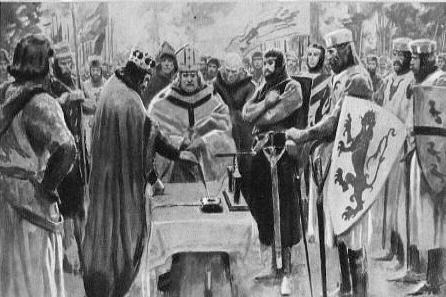 The Plantagenet kings first ruled the Kingdom of England in the 12th century. In total, fifteen Plantagenet monarchs, including those belonging to cadet branches, ruled England from 1154 until 1485. A distinctive English culture and art emerged during the Plantagenet era, encouraged by some of the monarchs who were patrons of the “father of English poetry”; Geoffrey Chaucer. The Gothic architecture style was popular during the time, with buildings such as the Westminster Abbey and York Minster remodeled in that style. There was also lasting developments in the social sector, such as John I of England’s signing of the Magna Carta (pictured above). This was influential in the development of common law and constitutional law. Political institutions such as the Parliament of England and the Model Parliament originate from the Plantagenet period, as do educational institutions including the University of Cambridge and Oxford. 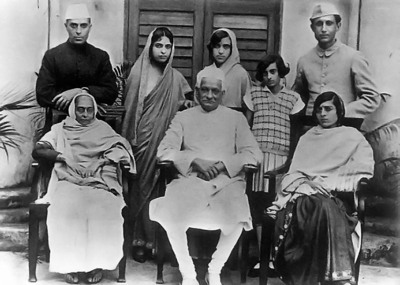 The Nehru-Feroz Gandhi family is an Indian political family which has been dominant in the Indian National Congress for most of India’s early independent history. Three members of the family (Pandit Jawaharlal Nehru, his daughter Indira Gandhi and her son Rajiv Gandhi) have been Prime Minister of India, two of whom (Indira and Rajiv Gandhi) have been assassinated. A fourth member of the family, Sonia Gandhi, is currently Congress President, while her and Rajiv’s son, Rahul Gandhi, is the youngest member of the family to enter active politics when he contested and won a seat in the lower house of the Parliament of India in 2004. The Nehru-Feroz Gandhi family is not related to Indian independence leader Mohandas Gandhi. The Nehru-Gandhis are the most prominent example of the tradition of dynastic leadership in Asian democratic countries. Genghis Khan (pictured above) was the founder, Khan (ruler) and Khagan (emperor) of the Mongol Empire, the largest contiguous empire in history. He came to power by uniting many of the nomadic tribes of northeast Asia. After founding the Mongol Empire and being proclaimed “Genghis Khan”, he started the Mongol invasions and raids of the Kara-Khitan Khanate, Caucasus, Khwarezmid Empire, Western Xia and Jin dynasties. 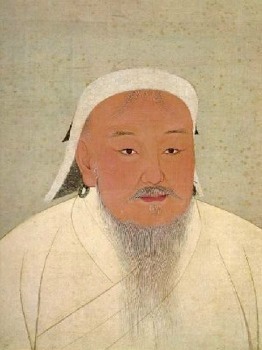 During his life, the Mongol Empire eventually occupied a substantial portion of Central Asia. Before Genghis Khan died, he assigned Ogedei Khan as his successor and split his empire into khanates among his sons and grandsons. He died in 1227 after defeating the Tanguts. He was buried in an unmarked grave somewhere in Mongolia at a location unknown. His descendants went on to stretch the Mongol Empire across most of Eurasia by conquering and/or creating vassal states out of all of modern-day China, Korea, the Caucasus, Central Asian countries, and substantial portions of modern Eastern Europe and the Middle East. 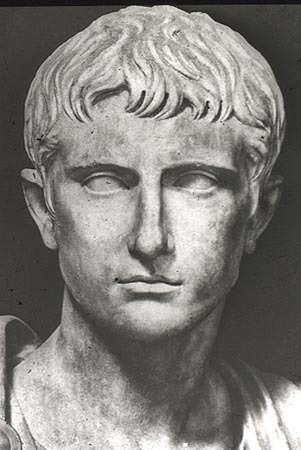 These two families are combined in one item as they were two of the most important families in Ancient Rome and eventually joined together to form the Julio-Claudian Dynasty that provided the most famous emperors: Caligula, Augustus (pictured above), Claudius, Tiberius, and Nero. These five emperors ruled the Roman Empire from 27 BC to AD 68, when the last of the line, Nero, committed suicide. These five rulers were linked through marriage and adoption into the familial gens Julio and gens Claudia. Julius Caesar is sometimes inaccurately seen as its founder, although he was not an emperor and had no Claudian connections; Augustus is the more widely accepted founder. The reigns of the Julian-Claudian emperors bear some similar traits: All came to power through indirect or adopted relations. Each expanded the territory of the Roman Empire and initiated massive construction projects. They were generally loved by the common people, but were resented by the senatorial class – a sentiment reflected by ancient historians. Ancient historians describe the Julio-Claudians as self-aggrandizing, mad, sexually perverse and tyrannical. “Zhu” was the family name of the emperors of the Ming Dynasty. 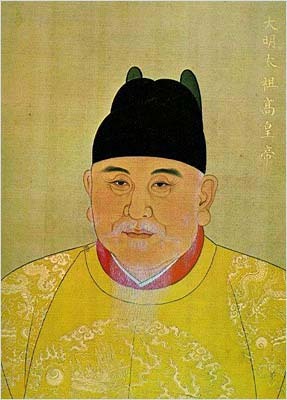 The first Ming Emperor, Hongwu (Zhu Yuanzhang – pictured above) opted to use the name Ming for the dynastic name. Ming means “Brilliant”. The Ming Dynasty was the ruling dynasty of China from 1368 to 1644, following the collapse of the Mongol-led Yuan Dynasty. The Ming, “one of the greatest eras of orderly government and social stability in human history,” was the last dynasty in China ruled by ethnic Hans. Although the Ming capital Beijing fell in 1644 to a rebellion led by Li Zicheng, which was itself soon replaced by the Manchu-led Qing Dynasty (the last Chinese imperial family), regimes loyal to the Ming throne (collectively called the Southern Ming) survived until 1662. Ming rule saw the construction of a vast navy and a standing army of one million troops. There were enormous construction projects, including the restoration of the Grand Canal and the Great Wall and the establishment of the Forbidden City in Beijing during the first quarter of the 15th century. Estimates for the late-Ming population vary from 160 to 200 million. The Ming dynasty is often regarded as both a high point in Chinese civilization as well as a dynasty in which early signs of capitalism emerged. The House of Habsburg was an important royal house of Europe and is best known as supplying all of the formally elected Holy Roman Emperors between 1452 and 1740, as well as rulers of Spain and the Austrian Empire. 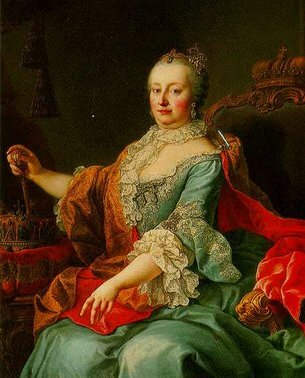 Originally from Switzerland, the dynasty first reigned in Austria, which they ruled for over six centuries, but a series of dynastic marriages brought Burgundy, Spain, Bohemia, Hungary and other territories into the inheritance. The dynasty is named after their seat of origin, the Habsburg Castle in the Swiss Canton of Aargau. The dynasty’s motto is “Let others wage wars, but you, happy Austria, shall marry”, which indicates the talent of the Habsburgs to have their members intermarry into other royal houses, to make alliances and inherit territory. Empress Maria Theresa (pictured above) is recognized quite notably for it and is sometimes referred to as the ‘Great-Grandmother of Europe’. The Ptolemaic dynasty was a Hellenistic Macedonian royal family which ruled the Ptolemaic Empire in Egypt for nearly 300 years, from 305 BC to 30 BC. Ptolemy, one of the seven bodyguards who served as Alexander the Great’s generals and deputies, was appointed satrap of Egypt after Alexander’s death in 323 BC. In 305 BC, he declared himself King Ptolemy I, later known as “Soter” (saviour). The Egyptians soon accepted the Ptolemies as the successors to the pharaohs of independent Egypt. Ptolemy’s family ruled Egypt until the Roman conquest of 30 BC. 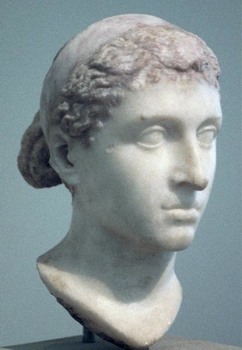 The most famous member of the line was the last queen, Cleopatra VII (pictured above), known for her role in the Roman political battles between Julius Caesar and Pompey, and later between Octavian and Mark Antony. Her suicide at the conquest by Rome marked the end of Ptolemaic rule in Egypt. The Mèdici family was a powerful and influential Florentine family from the 13th to 17th century. 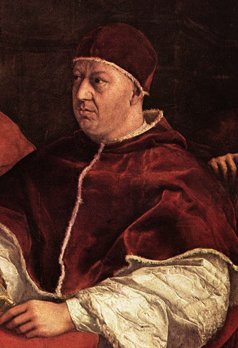 The family had three popes (Leo X – pictured above, Clement VII, and Leo XI), numerous rulers of Florence (notably Lorenzo the Magnificent, patron of some of the most famous works of Renaissance art) and later members of the French and English royalty. Like other signore families they dominated their city’s government. They were able to bring Florence under their family’s power, allowing for an environment where art and humanism could flourish. They led the birth of the Italian Renaissance along with the other great signore families of Italy such as the Visconti and Sforza families of Milan, the Este of Ferrara, and the Gonzaga of Mantua. The Medici Bank was one of the most prosperous and most respected in Europe. There are some estimates that the Medici family were for a period of time the wealthiest family in Europe. From this base, they acquired political power initially in Florence and later in wider Italy and Europe. The Capetian dynasty is the largest European royal house. It includes any of the direct descendants of Hugh Capet of France. King Juan Carlos of Spain and Grand Duke Henri of Luxembourg are members of this family, both through the Bourbon branch of the dynasty. Over the course of the preceding centuries, Capetians spread throughout Europe, ruling every form of provincial unit from kingdoms to manors. 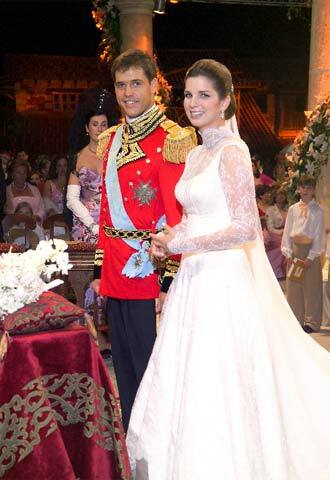 Besides being the most numerous royal family in Europe, it also is one of the most incestuous, especially in the Spanish Monarchy. Many years have passed since the Capetian monarchs ruled a large part of Europe, however they still remain as kings, as well as other titles. Currently two Capetian monarchs still rule in Spain and Luxembourg. In addition, seven pretenders represent exiled dynastic monarchies in Brazil, France, Spain, Portugal, Parma and Two Sicilies. The current legitimate senior family member is Louis Alfonso (pictured above), the Duke of Anjou, who also holds the Legitimist claim to the French throne. Overall, dozens of branches of the Capetian dynasty still exist throughout Europe.